T-Shirt Made of 100% Combed-Cotton (High-Quality Cotton). 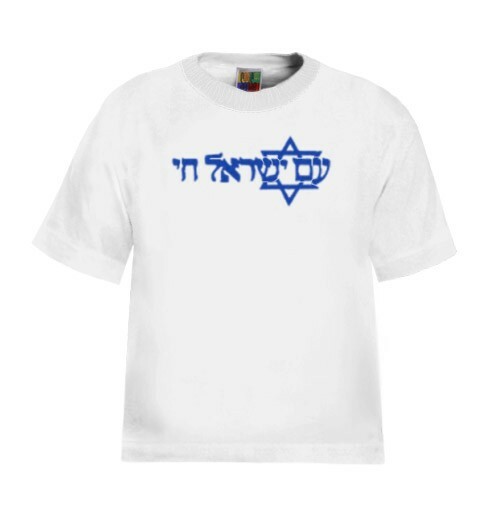 Bright white shirt with vintage print in Hebrew "Am Israel Chai" (which means "The Nation of Israel Lives") and a Star of David in the background. 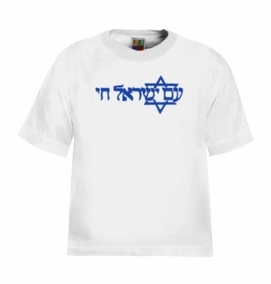 Great gift for children to show their support for Israel! Our t-shirts are made of 100% cotton and are long lasting with bright colors. Our products are all designed and printed in Israel.